Summer is well and truly under way here at Our Little House in the Country. The weather is stunning, the paddling pool is out and we spent the morning at the beach! Hi all, apologies for the short hiatus in posts, we have been away on holiday in the South of France for the past few weeks and while away we decided to take a total break from cyberspace! The only thing our iPads were used for were for reading several books and we even turned off our data roaming services so that emails and all other notifications couldn’t interrupt our family holiday. I must admit that I really and truly didn’t miss Wifi at all – really surprised myself! We had a really amazing time and I am working on a post about our trip and will hopefully have it and lots of photos ready sometime next week. I have finally caught up on all the laundry (still have to put it away yet) and the fridge and cupboards have been restocked and we are beginning to readjust to being home again. While away, Mr G and I spent quite a bit of time discussing how we would structure the summer and what we would do with the kids over the next 2 and half months before school starts on August 28th. Our aim was for the summer to be as simple, relaxed and as fun as possible for our family. With this in mind we put together a few ideas about how to keep our home ticking over, with a flexible routine that would keep me sane while Mr G is at work. 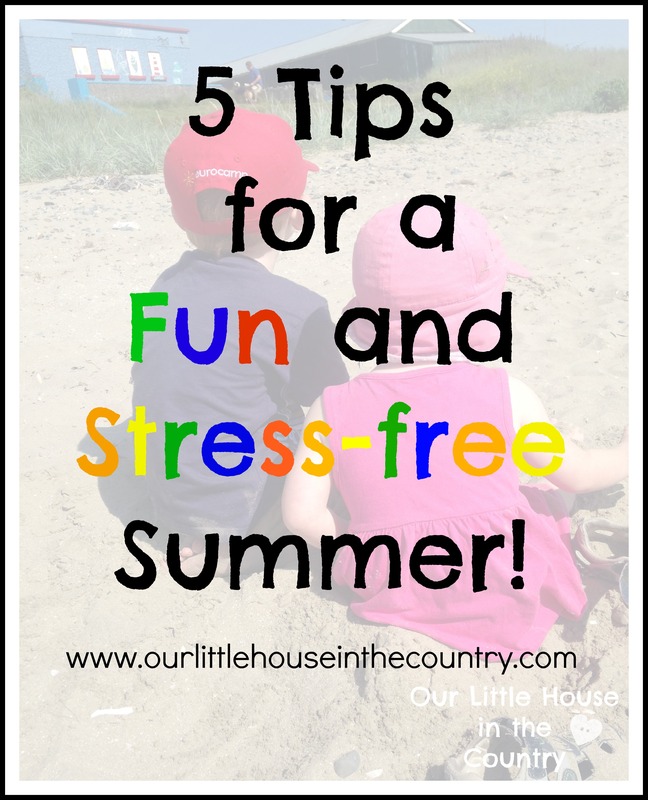 5 things we are doing this summer to keep our home a happy and stress-free one! I love technology and pretty much everything about it, I even did postgraduate study on the benefits of technology in education, but I have also come to realise that it can take over our lives if we let it. Our number one rule for this summer is that there are no screens allowed between 9.00am and 6.00pm. That means no TV, no iPads, no laptops, no Wii, etc. during this time. D and O are permitted to watch TV when they get up until 9.00am, then it is turned off. They are not and never have been allowed any other screen in the mornings. I have committed to this too and each morning I lock away the iPads and laptop in our bedroom. I do have my iPhone but trying to use it only for photos and occasional calls and texts. At 6.00pm the kids are allowed to watch a show or play the iPad if they want to (today D watched a Lego DVD and O watched Peppa Pig and neither asked for the iPad – a miracle!). We are only a few days into our new routine but so far they have not once asked to watch TV etc. since I explained the new rules. While in France we were outdoors all day every day from 7.00am until midnight! It was heaven. Yes, the weather was amazing which always helps but I felt we could really try this at home. As you know, Ireland is not really known for its long hot summers, although the weather is spectacular at the moment, but generally the weather is milder and drier than during the winterr months, so unless there is torrential rain we could certainly spend a lot of time outside. Over the weekend I created an outdoor playroom on the patio. I moved the kids table and chairs outside, plus their easel, the toy kitchen and kitchenware, put fresh sand in the sand tray and put lots of toys in a big plastic crate (balls, sand toys, cars, skipping ropes, skittles etc). We also set up mini football nets, basketball net, blew up the paddling pools and every beach ball we could find. We put up a tent for D and O play in. Our back garden now has tonnes of fun activities set up and luckily our playroom has French doors out into the garden which we keep open all day so that D and O can take their toys out to the garden whenever they want. We have been eating all of our meals outdoors too. We also do some crafts and activities most days – play dough, painting, cutting, messy play, etc. A firm favourite at the moment is the game Uno – a modified and simplified version for younger kids, great fun which can be played indoors or out! I don’t spend all day everyday trying to entertain my kids – I tend to provide the materials or toys they might need and let them come up with their own ideas. I feel very strongly about encouraging children to be creative and play independently. I do sit and play and work on activities for a certain amount of time each day but I tend to step back and let them figure out what they would like to do for a large portion of the day. Doodles will be 5 in a couple of weeks and Oodles is a very independent 2 ½ year old. I feel very strongly about encouraging our children to be as independent and as responsible as possible for their age and stage of development. We decided to give them an added incentive to get dressed, make their beds and have breakfast without being asked 100 times each morning 😉 . D will be getting €1.00 per week and O will get 50cents. They also help around the house will simple jobs – tidying away toys, clearing the table etc. I find that getting out the house is really important for maintaining my sanity. At this time of the year I don’t feel the need to hop in the car and head off somewhere every day especially if the weather is good and we can be out in the garden playing and enjoying the sunshine. But, a couple of times a week we take a spin to the beach or a local park to play at the playground. We also go swimming a few times a week and my two love grocery shopping. We have a number of other outings planned – the zoo, local parks, farms, taking the train to Dublin to visit Mr G at his office etc. as well as several play dates. Our 100 Days of Summer Bucket List! is providing us with lots of fun ideas too! Over to you – what tips and advice have you for keeping your home happy and stress free over the summer months? 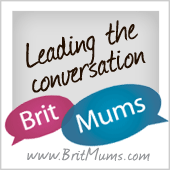 Please share your tips in the comments or pop over to our Facebook page and leave a link to your summer posts for us to read, share and pin. I like your style! I finally took the plunge and signed up for family membership at our local leisure centre. They will be seeing a lot of us over the summer! Yesterday we took out the sprinkler, plugged it in and the boys had a ball in the garden for several hours. Other up side? All showered and ready for bed just like that! Tell me about it Lindsey – It’s alot easier said than done this screen free zone, especially as we have been really busy this week, my little Doodles had his first day in Primary school (OMG) and lots of playdates etc etc etc – just busy! Anyway, it’s raining here for the first time in weeks so we are having a jammies morning and the TV is on and I’m on my laptop – we are all tired – rules are made to be broken after all – back on track tomorrow ;)!!!!! Keeping screen free during the day is a great idea, we try do this as well but we might slip in half an hours tv after lunch if they re in need of a bit of a chill out and i need some peace to tidy up the kitchen etc! I try and plan out activities for each week in the holidays usually on a sunday evening. I ll pick a playground for us to visit that week, plan a picnic somewhere, arrange a playdate and ofcourse i ll have a big list of arts and crafts activities as well. I m all for free play as well so i will maybe direct them to certain things during the day but they re all pretty good at making up there own fun for part of the day at least! Nicola, that’s exactly what I do on a Sunday! I like to set out a few toys and activities each day and like you try to direct them towards them. I must admit that i also tend to let D watch TV for half an hour after lunch too especially if O is taking a nap! Thanks! Yes, I couldn’t possibly implement a total ban on screens- for my own sanity! Though at times I’d love to then I wouldn’t be plagued with requests to watch x,y or z on You Tube during screen time! Thanks for stopping by. Endlessly guilty of failing at no.1. Made a much better attempt at it this weekend and as the three of us completed Tamworth library’s summer reading challenge. Great fun with free stickers, posters, and even a medal!